" The Toaster Sweaters consist of two different high neck top designs to keep you toasty warm and stylish in the cooler months. They are both very simple to sew and perfect for sewists of all levels who want to try their hand at sewing knits. 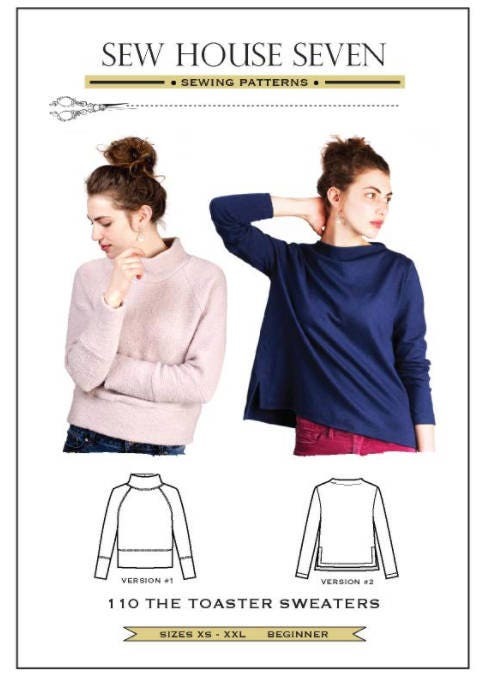 These sweaters are designed to be constructed using knit fabric with at least 20% stretch around the width of the body. This is a beginner level pattern. Sizes XS - XXL"